The river program runs during daylight hours until Labor Day (September 2) and anyone can access the river free of charge for a Class I river rapids ride that will take about 2 ½ hours. 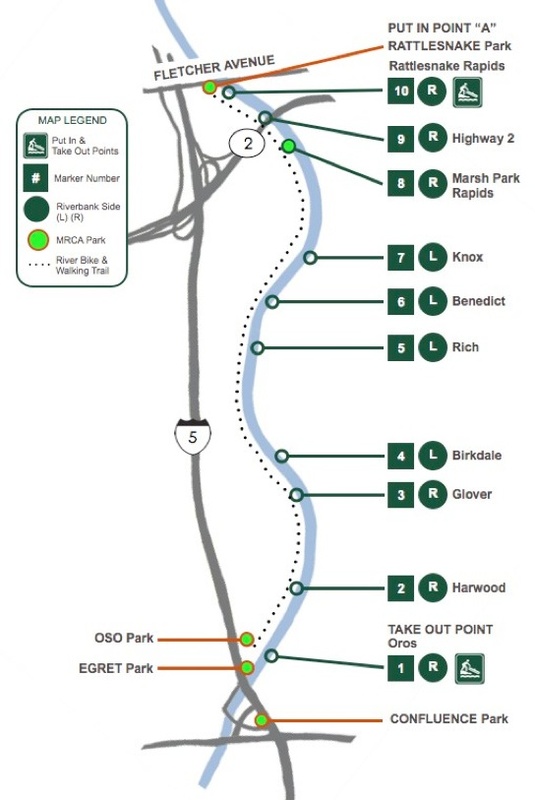 You will need two cars – one at put-in near Rattlesnake Park and one at take-out at Confluence Park. Want to take a guided tour?